View across Rhine plain to Black Forest. 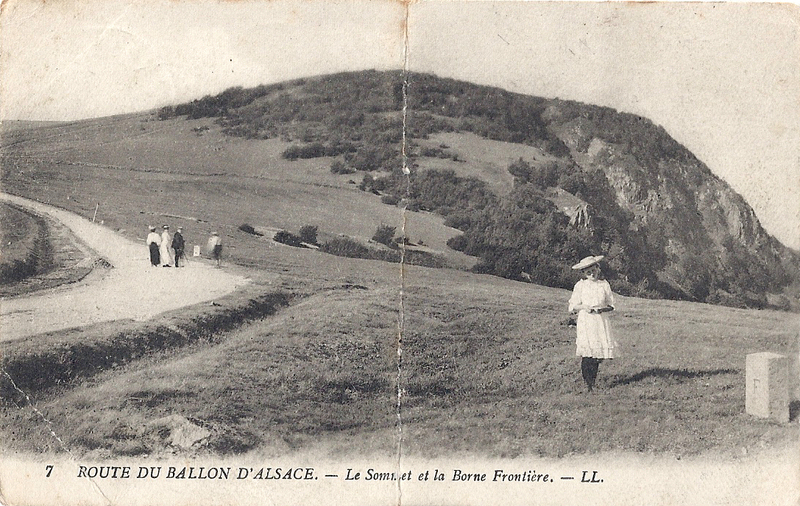 In fine weather, people today head off up to the Ballon d’Alsace. In hot weather, it’s refreshing and there are cafés and souvenir shops to tempt exhausted travellers. 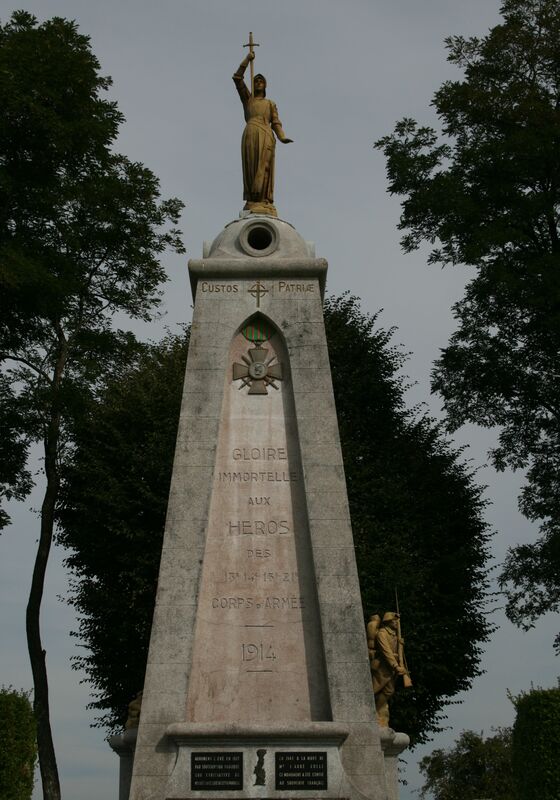 You can walk round the summit , watch the parapentists, admire the orchids, contemplate the dramatic monument aux Démineurs (1952) and even spot remnants of the trenches from Great War. 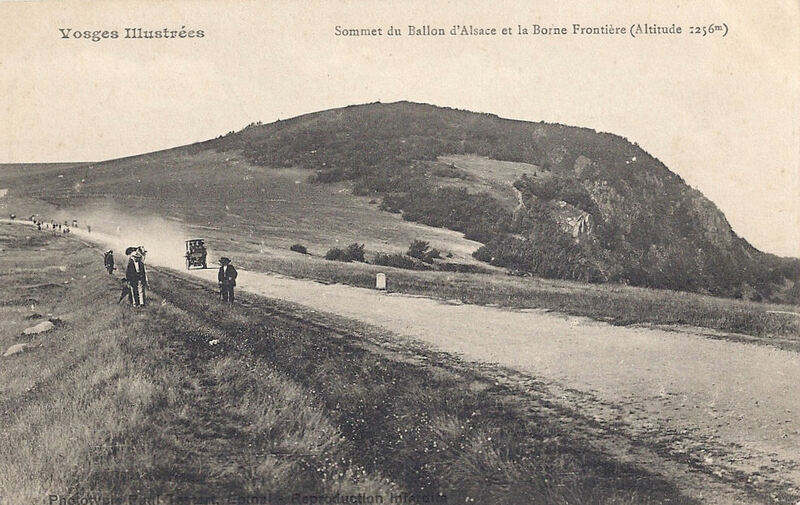 The scene on the mountain summit (1247m) has not changed much since the period of the frontier when it was a popular attraction for walkers and later, cyclists and motorists. 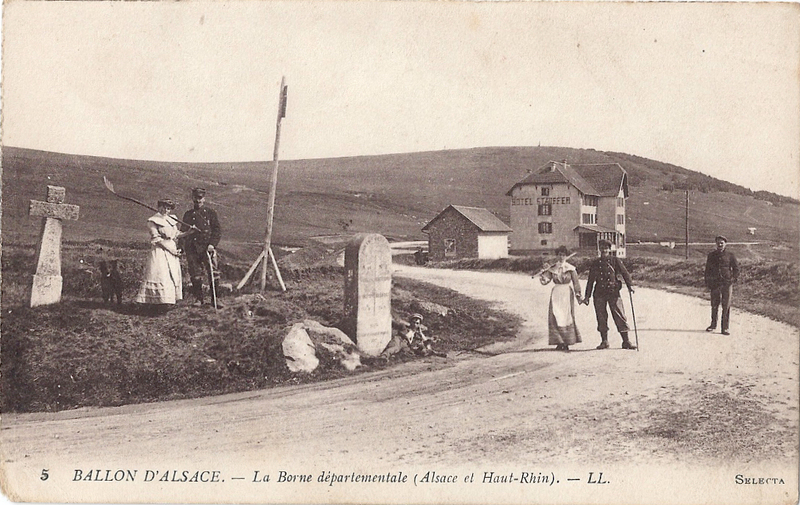 Several establishments were set up to benefit from increasing tourism; there were hotels and cafes to refresh travellers exhausted from the demanding walk, winding drive or steep cycle ride to the summit. 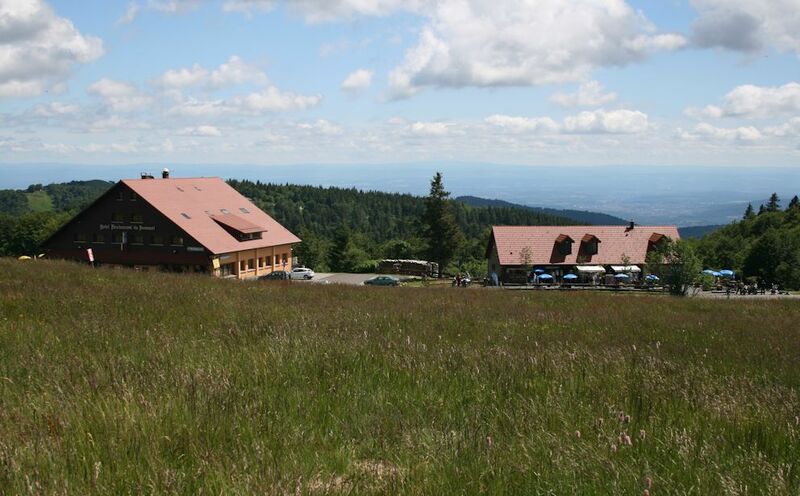 The views are spectacular, including the Vosgien massif, the Rhine plain and the Black Forest. 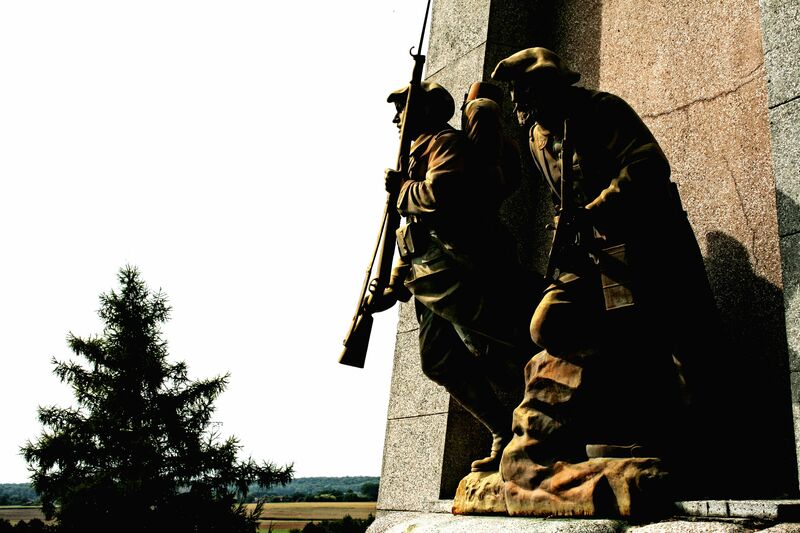 At certain times of year, when the vegetation had died down, it was sometimes possible for the traveller to see chasseurs à pied (infantry) on manoeuvres or even local patriotic groups practising military tactics. 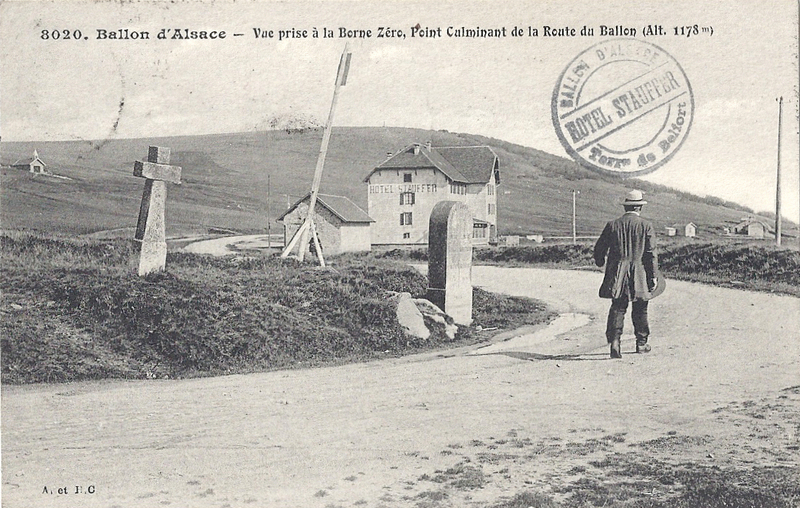 Card posted 1914; borne frontière. 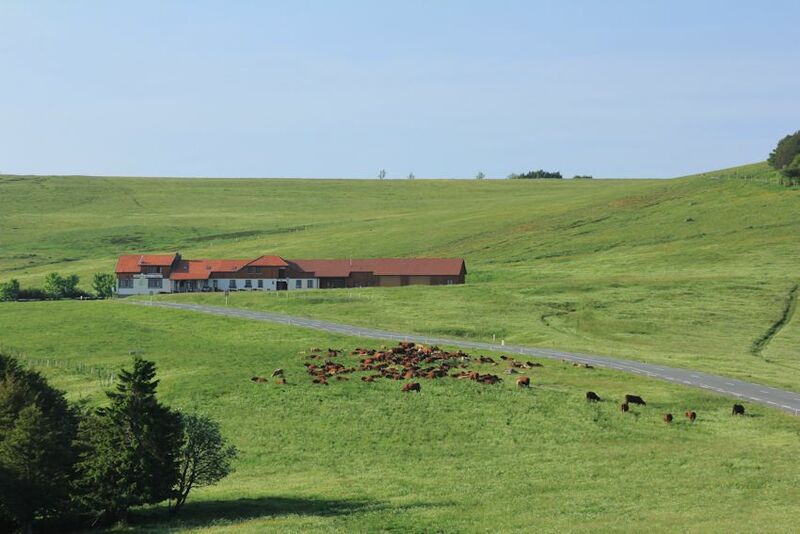 The current borne routière interdepartemental is close to the Bar des Démineurs and the 1952 monument aux Démineurs, but in the fields by the terrasse of the Ferme auberge du Ballon is the original borne signifying the frontier. It is small, square, sturdy and the F for France is clear. 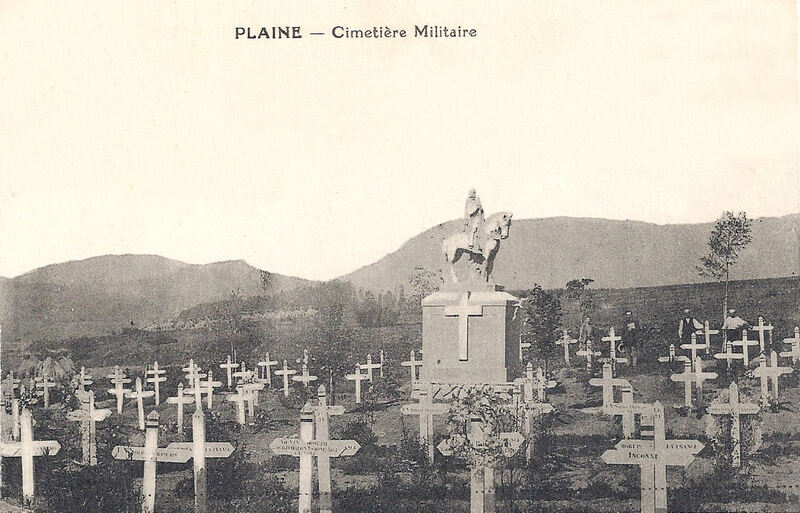 The author Charles-Marie Laurent recorded his observations: he noted the damage to many hated stones, where the face looking towards Germany had been hacked at, chipped, shot, deeply cut and dented. 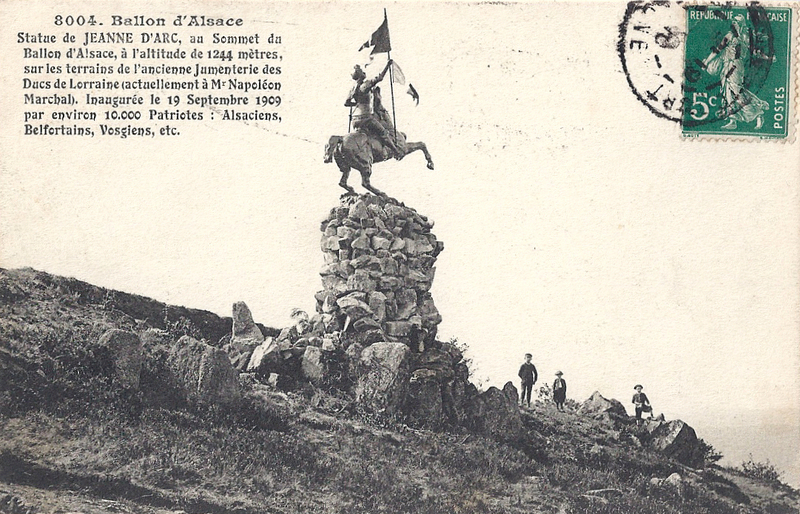 “Infortunés et braves Alsaciens!” he declared. 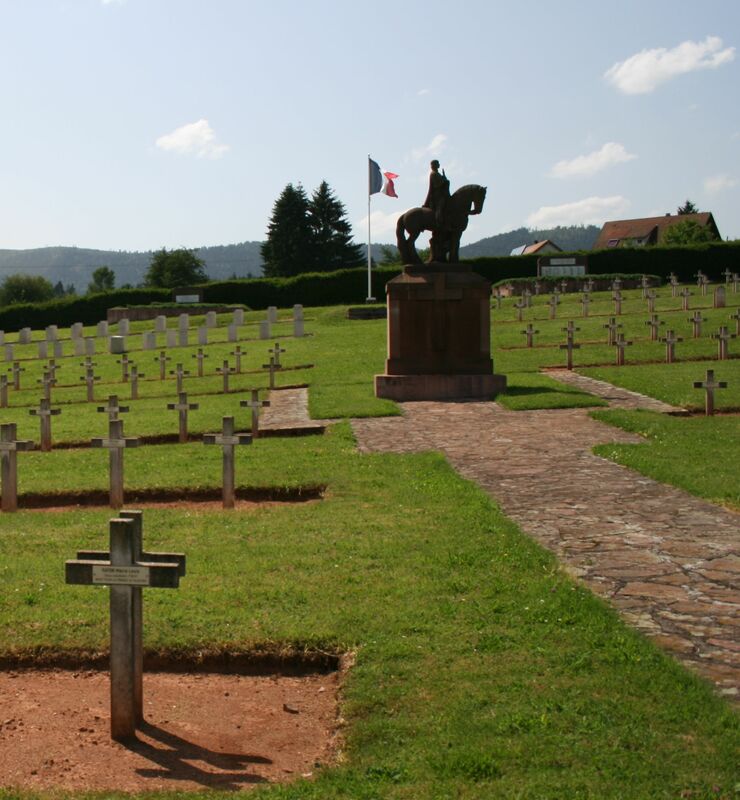 Looking across the Rhine plain to the Black Forest is Jeanne d’Arc. 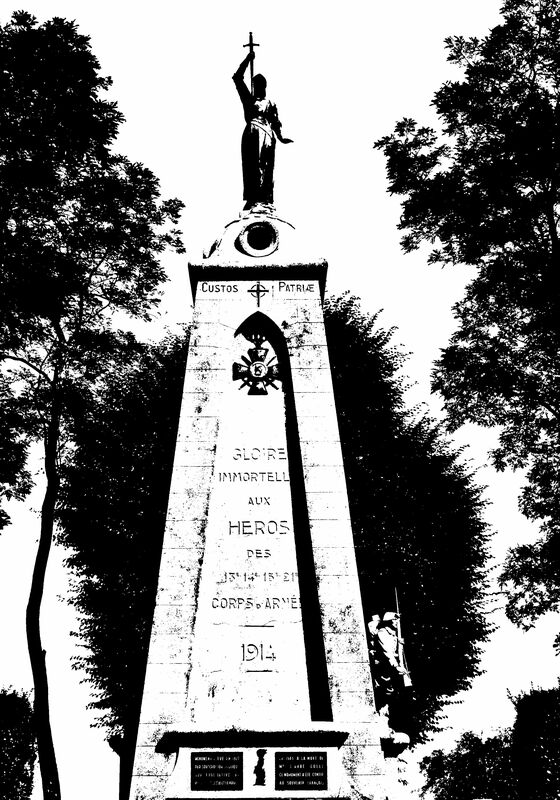 She is proud, defiant, deliberately positioned to show that Alsace and Lorraine challenge their annexation and to provide hope of return to those who chose to resettle on the French side of the new border. 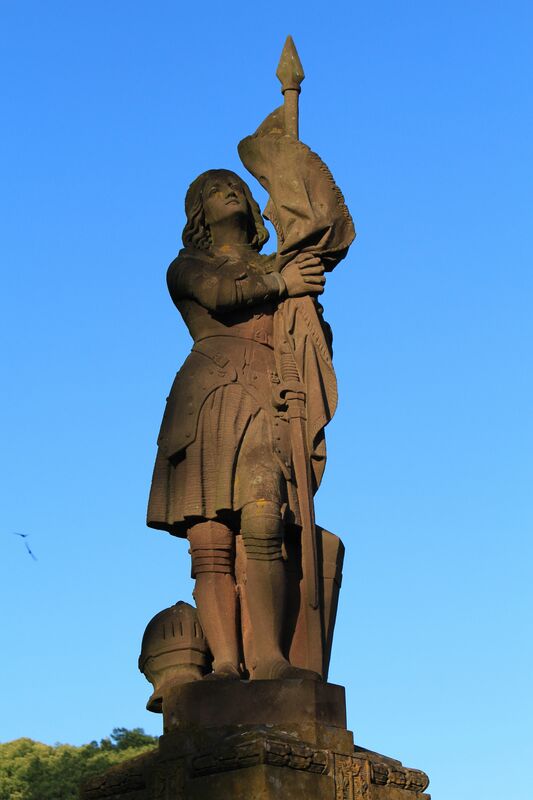 Mathurin Marchal was the sculptor and apparently more than ten thousand patriotic Alsaciens attended its inauguration in 1909, eager to see the proud symbol of their desire that the lost regions be returned to France. Jeanne has actually changed position more than once: at one stage she faced France to call the motherland to rescue the abandoned people. 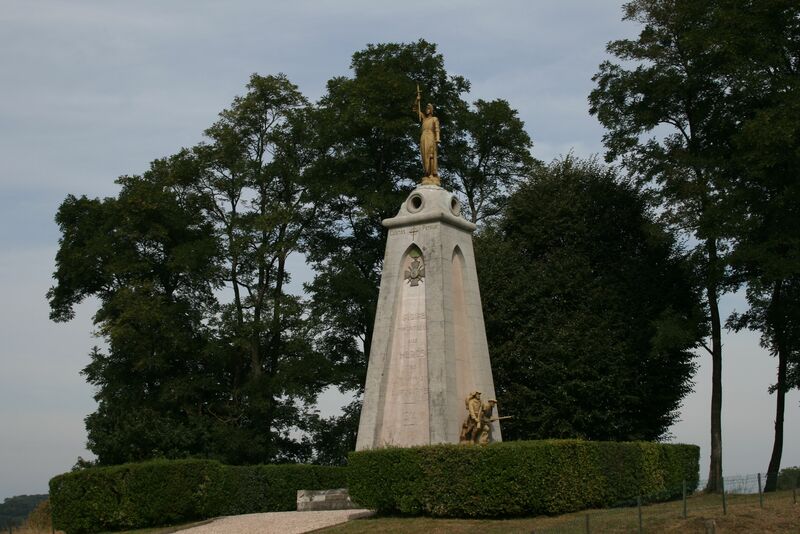 Another popular attraction was the statue of Mary: la Vierge du Sommet, Notre-Dame du Ballon. 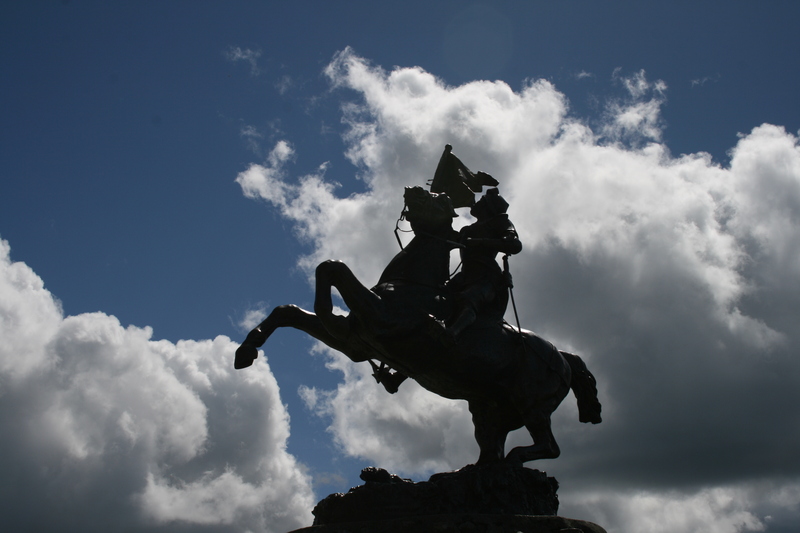 Although she is close to the frontier, she was actually erected in 1862 by a farmer, Joseph Grisward, in gratitude for being saved from a severe snowstorm in 1860. 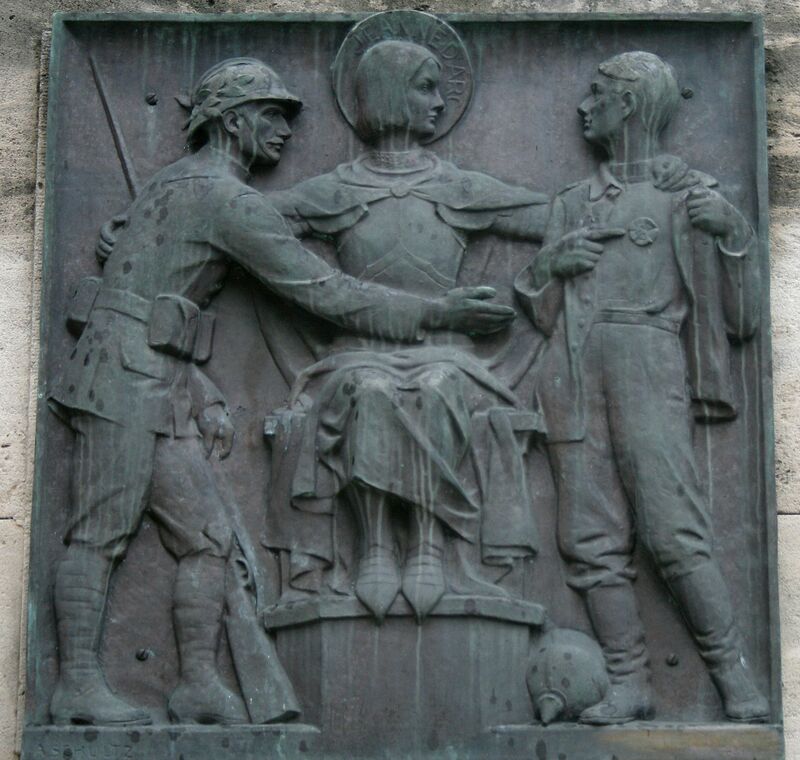 Later on, though, after the Treaty of Frankfurt, the phrase ‘Marie protégez la France’ was added, which C-M Laurent thought had an air of being wise after the event. Despite its loathed frontier and all it represented, the Ballon was a place for play and excitement. 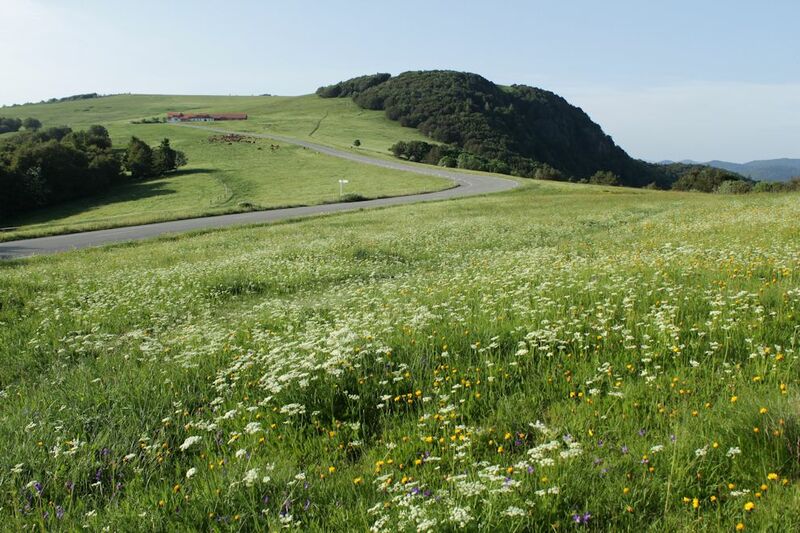 Motorists enjoyed the challenge of the steep, winding road to the summit and the opportunity to speed on the top. 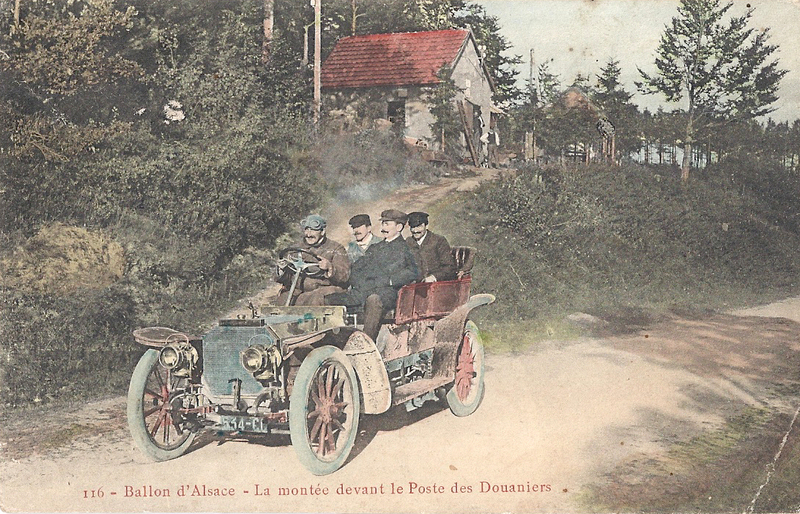 In 1905-6 the mountain featured in the Tour de France Automobile and it was also included in the 1905 Tour de France. 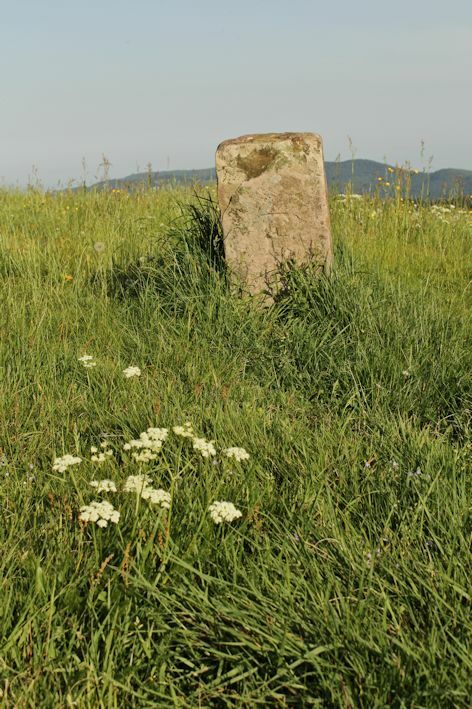 Spring on the Ballon d’Alsace is pleasant, often with the traces of snow remaining in the crevices, evidence of the bitter winters. Then, life on the frontier became far more challenging. 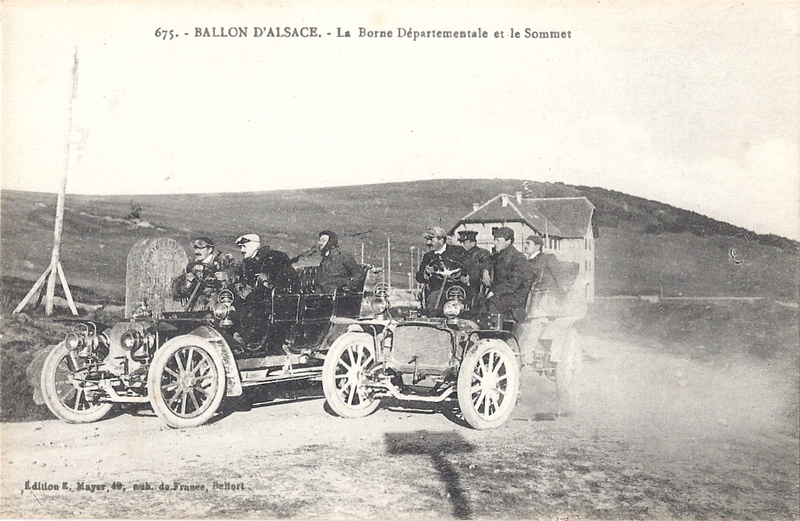 In a future post, I’ll write about the experience of winter on the Ballon d’Alsace. Photographs June 2012 and June 2013. All postcards from my collection. 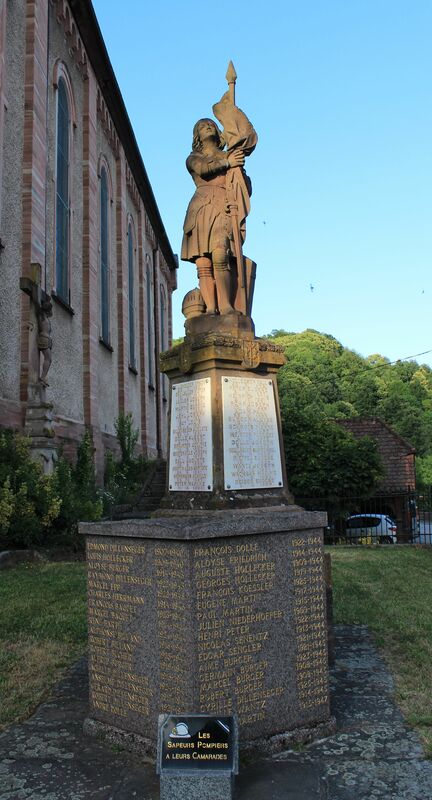 Categories: Administering the frontier before the Great War, The frontier | Tags: Alsace, Ballon d'Alsace, bornes frontières, frontière, frontier, Joan of Arc, Vosges | Permalink.